A Telecommunications Engineer who is passionate about growth hacking, digital marketing, and programming. Avast Mobile Security is a good antivirus, it detects and removes malicious applications, the Web Shield protects the user from phishing sites when they surf the web. It supports standard android browsers (Google Chrome, Amazon Silk …)It also analyzes your files and you can schedule the application to scan your phone regularly.It offers many features like: a firewall, anti theft and unwanted call blocking, a Wifi network checker and other services. The wifi verifier is available in free version, it gives you advice on how you can secure your network, it analyzes your home network, it also checks if our router is vulnerable to attacks thanks to its updates that it receives . The free version of Avast provides you with virus detection and malware, while the paid version gives you the ability to lock apps, backup and anti-theft protection, which includes an option to take a picture if steal and record the thief’s voice. In the AV-Test test report, Avast scored at a 99.9% malware detection rate and in the process of testing it has no impact on smartphone memory. Barcoo acts partly through advertising and too much information a bit overloaded. In our short test Barcoode Scanner Barcoo was able to recognize most products, but not all detailed information was available. In addition, the apps sometimes seems overloaded and offers functions that seem unnecessary. Why are there achievements for scanning codes? Here we would have liked a little more clarity. A compass in high definition ready to not disappoint and guide us accurately at all times. 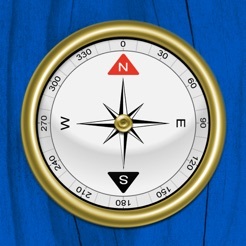 Free HD Compass has been updated to provide support in the latest version of the brand new iOS 8. Its classic style reminds us of the first devices of this type, with the arrangement of the angles around the circle and the possibility of changing the background image. Simply beautiful. This app available to users with the operating system ios, is free and simulates an incoming call perfectly. It allows you to edit the contact, use the vibracall mode, change the background and the tone of the screen. The simulator of false calls is so real that you will see the contact of the call on the screen and you can swipe to take it as in a real call.With this App for iPhone, you have options hidden in each button, for example. On the right, on the Voicemail button, we can select the wallpaper, the tone of the call and if we want the smartphone to vibrate.On the left, in Favorites, we can choose the contact of the phone that calls us. We can type it manually or search our contact directory. You can also program the time you want to receive the call.Remember everything is a simulation, the calls are not real and the contact you select will not find out that you are “receiving” a false call from your contact. Autodesk developed a web platform through which to view DWG files and add retouches and editions that do not involve major changes. AutoCAD 360 offers free access and two subscription services to add more options and allow a save of the plans in the cloud. Thus, with the free account we can see 2D plans without editing, maintaining 5 GB of space; we have a premium service that adds editing tools and 25 GB for $ 4.99 per month; also an upper step with 100 GB of space in the cloud. Premium subscriptions can be paid per year, obtaining a discount on the total.Autocad 360 has its Android application with which to view the files and edit them depending on whether or not we have paid subscription. This subscription can be paid as an in-app purchase.